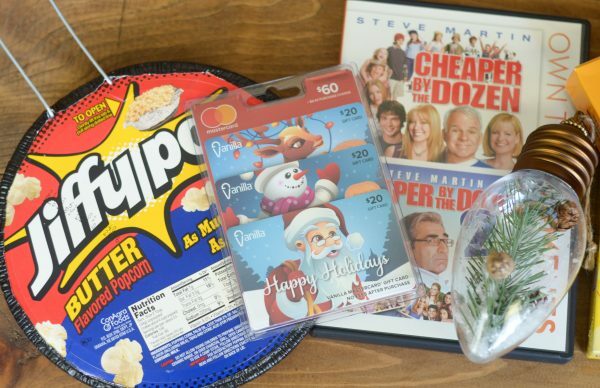 Create the ultimate Movie Night Gift Basket to spread holiday cheer this upcoming holiday season. This post is sponsored by @InComm, all thoughts and opinions are my own. It’s time! Time to start thinking about holiday gift giving and creating fabulous gifts for family and friends. That means that I have started making my list of what to purchase. One thing that I always purchase are several gift cards from Walmart. This past week I stopped in to shop the holiday gift cards at Walmart. 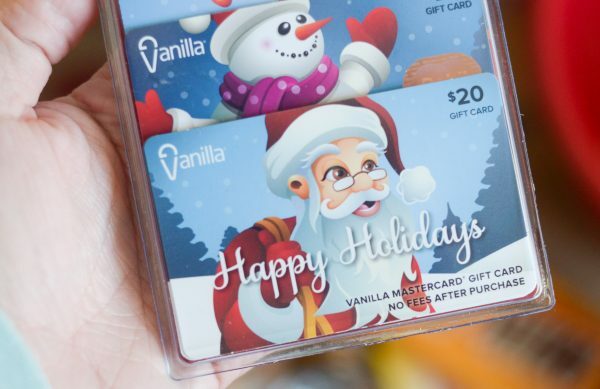 My favorite to pick up is the Vanilla Mastercard Gift Card $60 Multi-Pack. I almost always go for this one because then they can be used just about anywhere. Now, when I give a gift card, I always add to it. I feel like it just goes a little extra mile when a gift basket is created around the gift card. The family I had in mind for this one, loves movies, so I decided to do it as a movie night gift basket. I included a nice big bowl for popcorn as the actually ‘basket’. 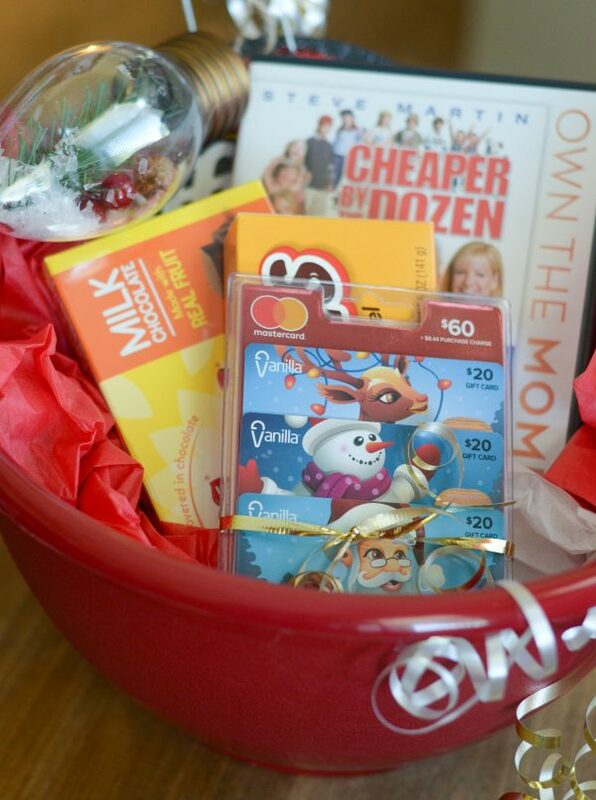 Then, I added in some candy, popcorn, movie, and the gift cards. I also decided to add an ornament too. 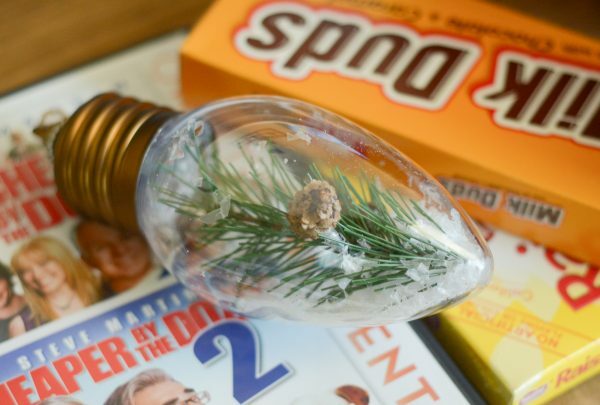 If you ever receive a gift basket from me during the holidays, it will always include an ornament. I feel like that just adds that extra holiday touch. Within just about 10 minutes, I had this entire gift put together! 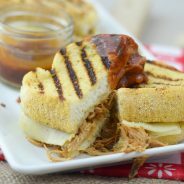 The gift cards can be used for a meal to go with the movie night or simply for a few extras for the family. The perfect thing for me is that I can easily get my holiday shopping done while doing my own grocery shopping too. 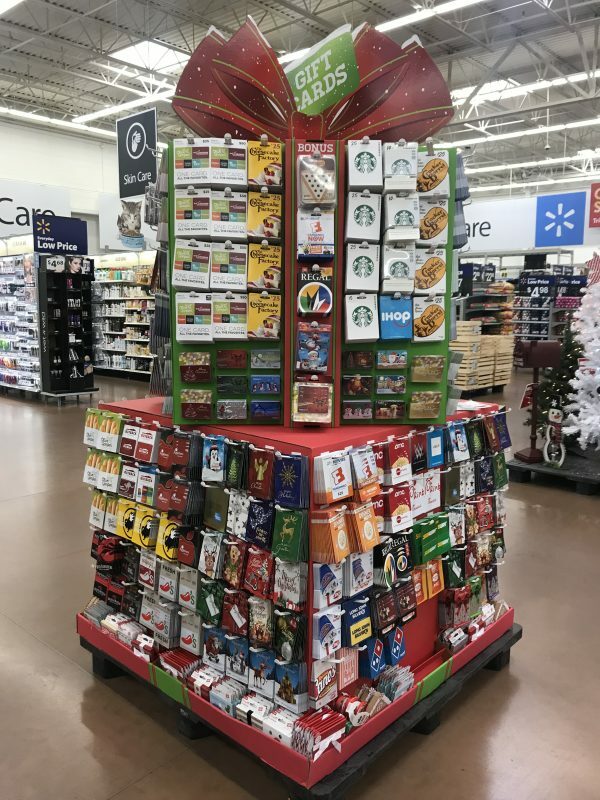 It’s definitely one stop shopping at it’s finest and the holiday gift card display is right next to the holiday gift items so everything was right together and easy to pick up. 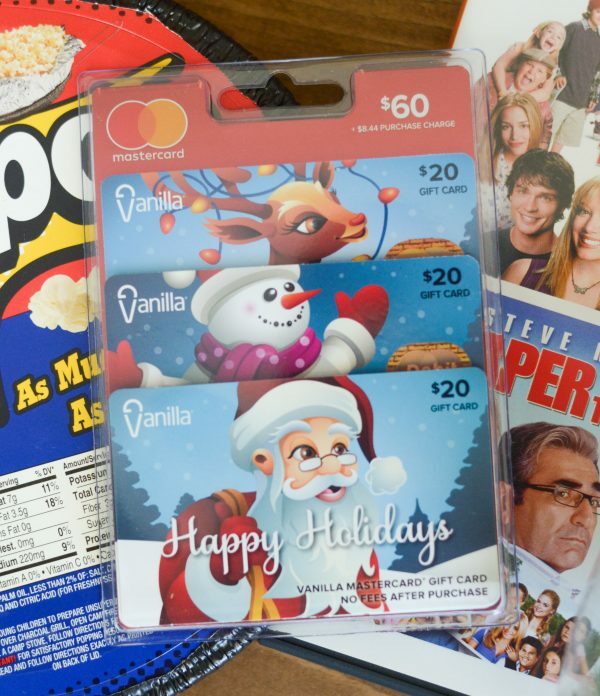 The other thing to note is that many of the gift cards at Walmart have special deals with them, for instance you can grab a $25 gift card to Regal Cinemas and when you purchase a popcorn, you’ll get a free drink too. It’s the perfect way to get a great deal and stretch your dollars. 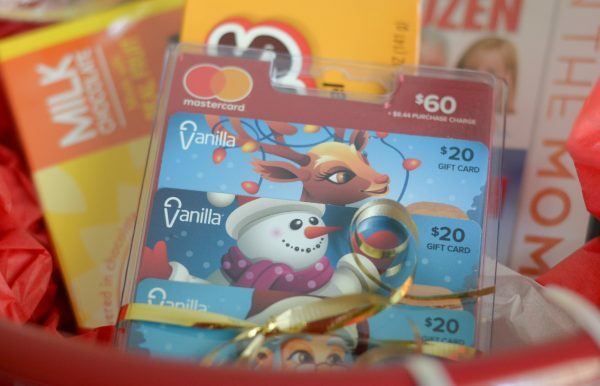 Now, who is on your list that you plan to grab a gift card for? 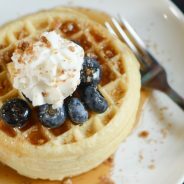 How do you add something extra to your gift cards? 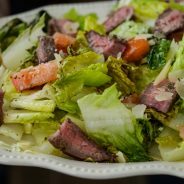 I’d love to hear some more ideas!